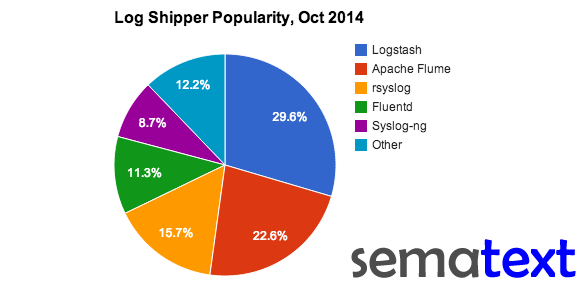 That said, let’s see how log shipper popularity breaks down. Don’t forget to check out Logsene – our Log Management Cloud/On Premises service that will happily take logs from Logstash, Flume, rsyslog, Fluentd, Syslog-ng, syslogd, etc. Check How to Send Logs to Logsene to see how easy it is. What sort of responses were in the “Other” category? Hi Mark. You can actually see that if you go to the poll and peek at View Results towards the bottom of the poll.